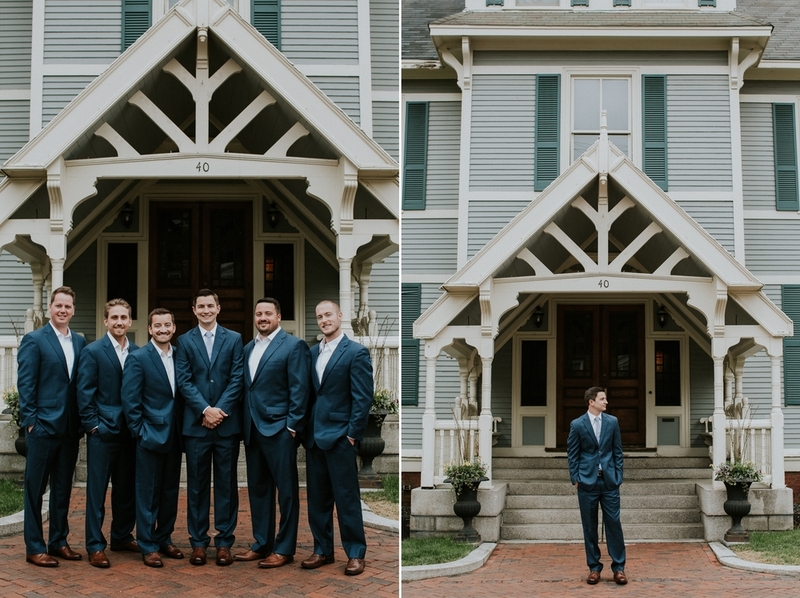 Not only is this one of my favorite weddings, it also happens to be my best friend's! 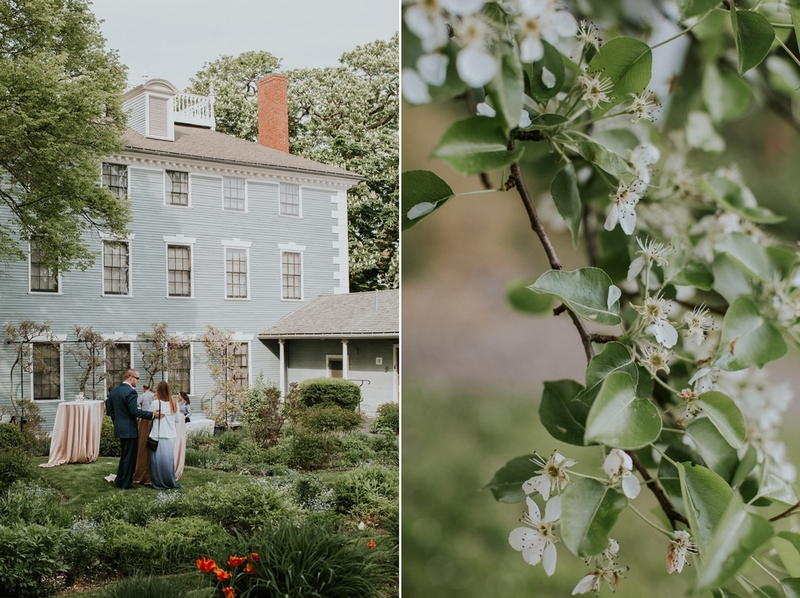 Most guests had never been to New Hampshire, however, when Jenny's mom and stepdad moved to Portsmouth, and after a visit with her then boyfriend Glen, she knew that this was where they would get married one day. Every moment was so incredibly intimate all thanks to Jenny and Glen keeping the guest list to 60, including immediate family, with their close friends as their bridesmaids and groomsmen. 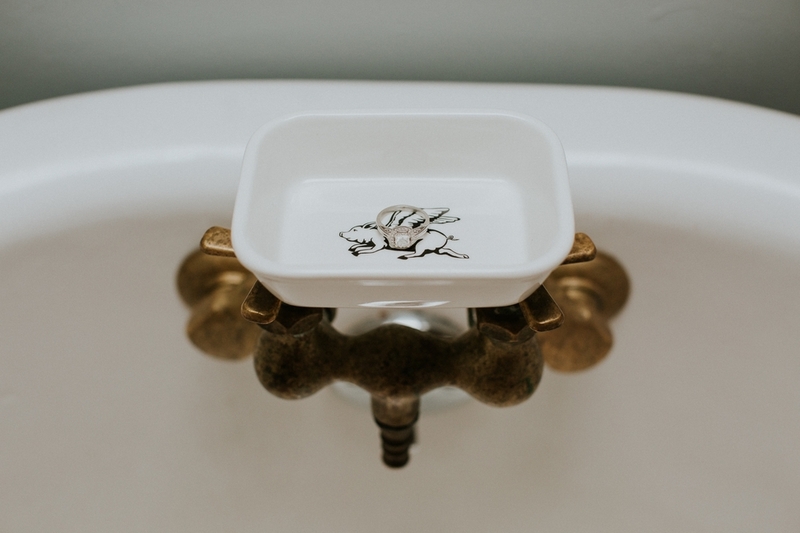 Jenny hand picked everything from the pink glassware to the birch wood arbor, and since she has a rental and design company everything was so well thought out. 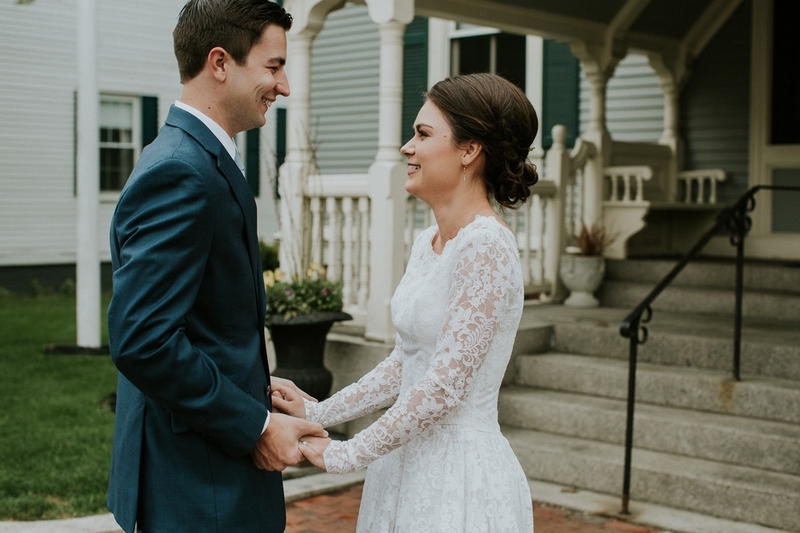 Jenny wore her grandmother's wedding dress for wedding party pictures and the ceremony. 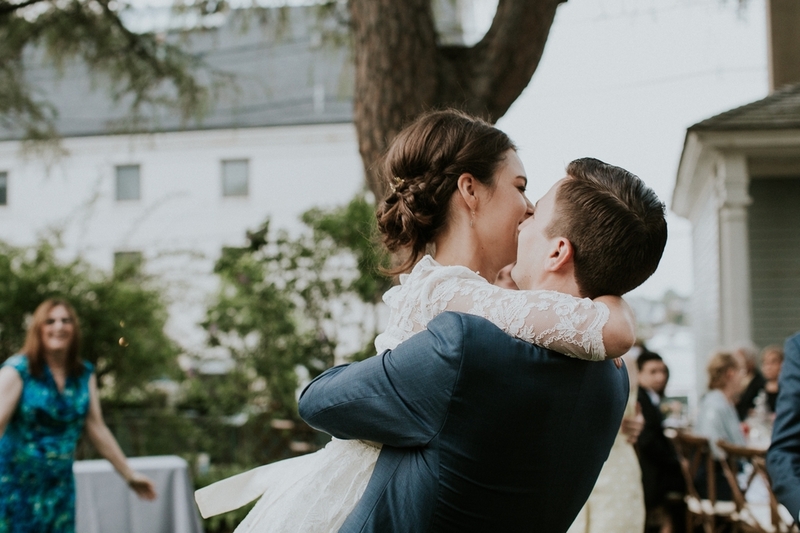 She didn't need one alteration and the dress was in pristine condition - can you believe that? 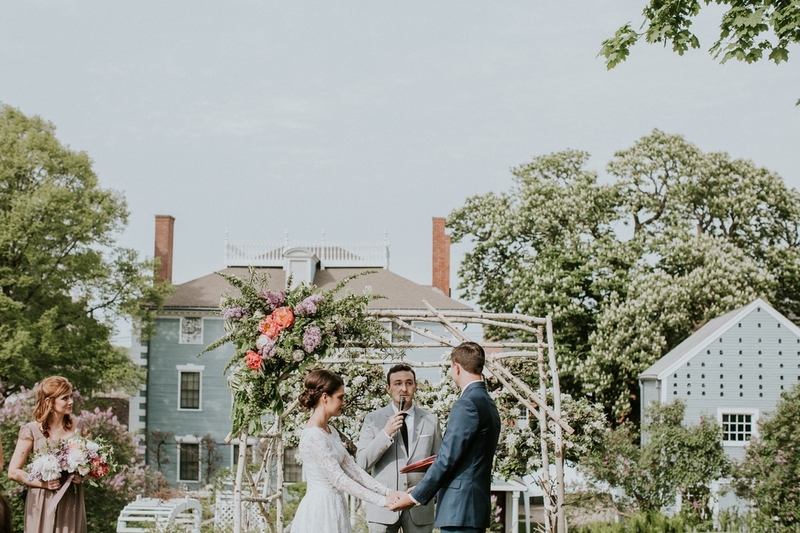 The ceremony was held at the Moffatt Ladd House, a house museum and one of the first homes in Portsmouth. It was a gorgeous venue and the gardens were in full bloom. 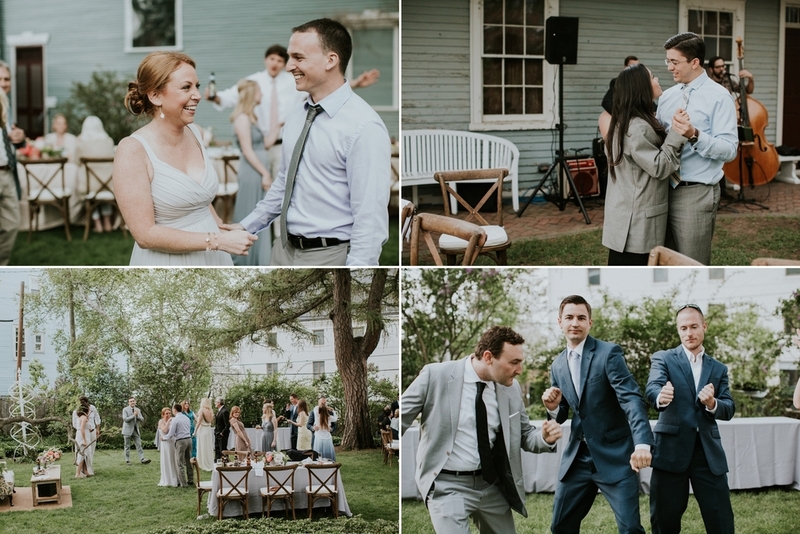 Jenny and Glen walked down the aisle to "All of my Days," from one of my favorite movies, Away We Go, which was acoustically played by Jenny's brother and local musician. 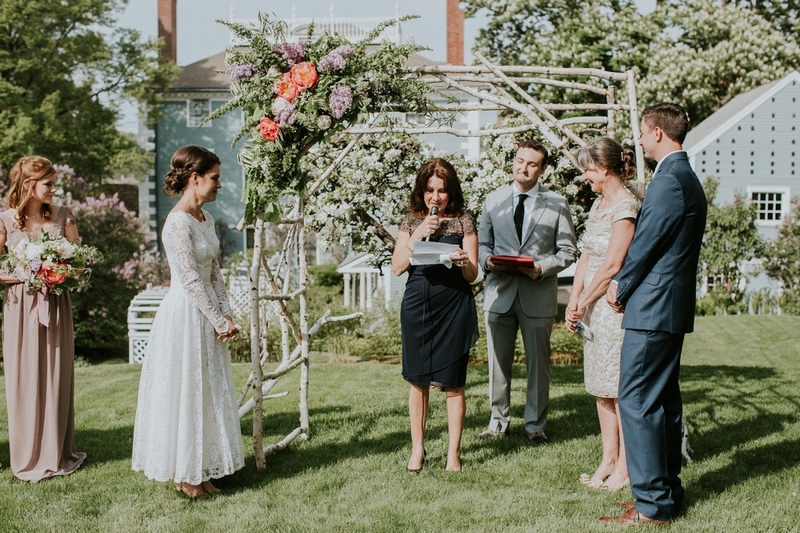 The bride and groom exchanged hand written vows with the bride's brother-in-law officiating. 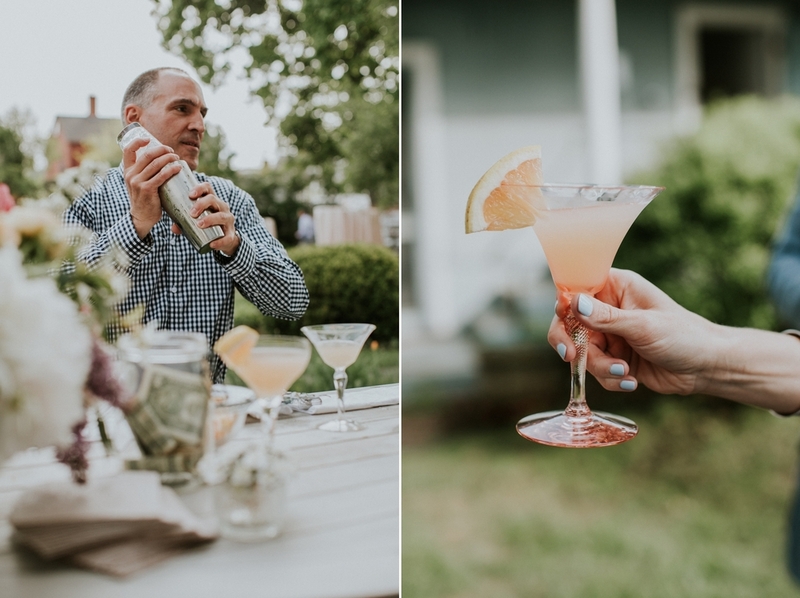 A cocktail reception followed with a signature cocktail named "The Gemini" paying homage to both the bride and groom's astrological sign. 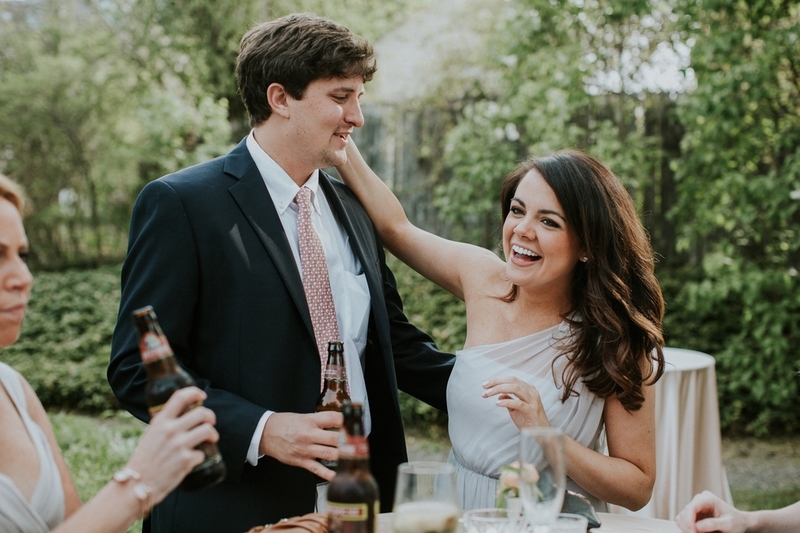 Guests played yard games and enjoyed the breezy, coastal New England weather. 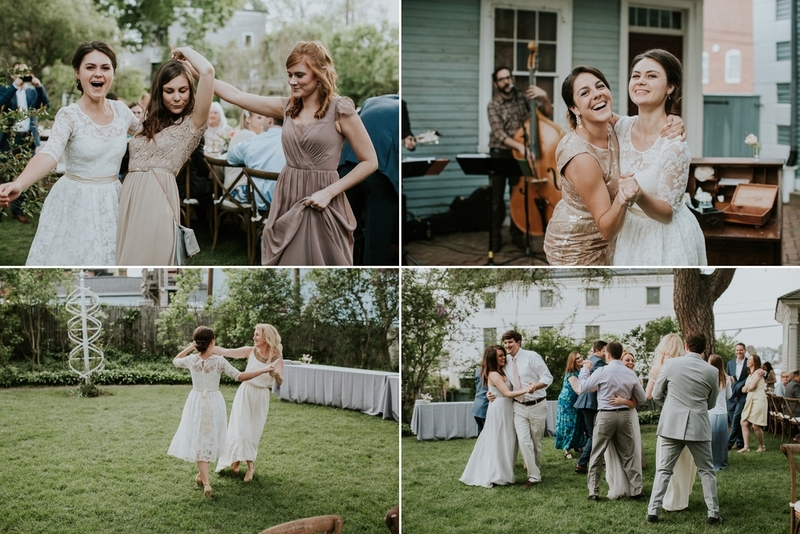 As guests mingled and sat down for dinner they were serenaded by a guitarist and upright bassist playing classics like Stevie Wonder and Bob Dylan.